the usual minced garlic cloves all week. you might be able to find some fresh scapes at your local farmer’s market. 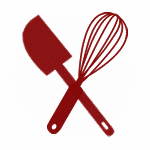 chop the rest of the ingredients and add things to the skillet as you go along. generously with salt and pepper. Cover with lid and cook for 5 minutes. 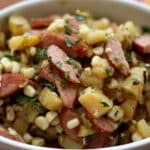 Add the kielbasa and stir. Cover again and cook for 3-4 more minutes. desired. Sprinkle with parsley before serving. Enjoy! A delicious meal in one! And you make it look so pretty to with your photos.! Now that is a delish skillet. I love the one pot meal idea. I've been looking at a similar recipe to make while camping. This looks so much better! Have a lovely day Mary. I made a garlic scape pesto that was wonderful. I need to grow some garlic! I have never seen or eaten a garlic scape! That photo is pretty awesome, and I'm going to scour the farmer's market this weekend and try to find some. Mmm I love garlic scapes!! 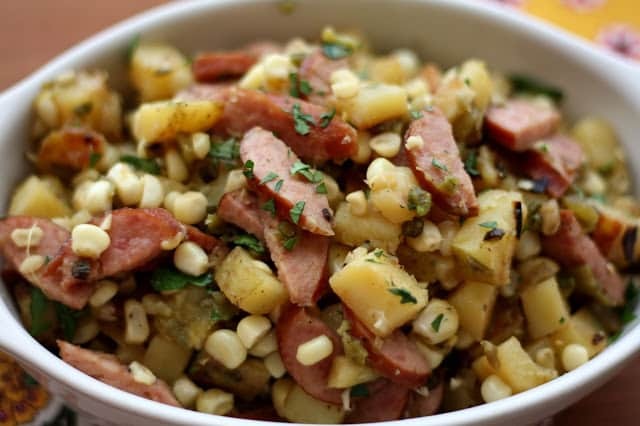 I'm keeping my eye open for them at the farmers market this weekend :) Love this dish...kielbasa makes any dish delicious! 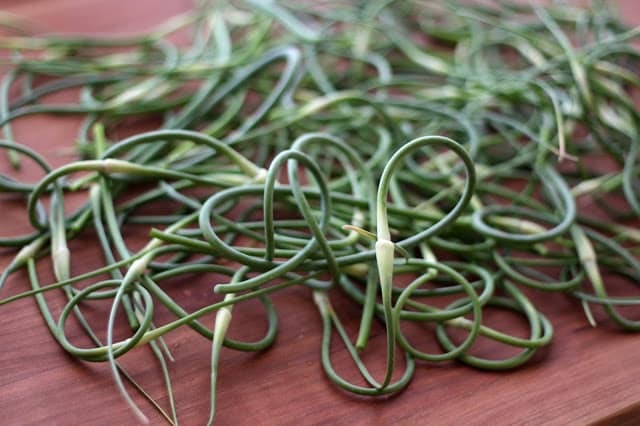 I have never had garlic scapes. Will have to look for some at the farmer's market! 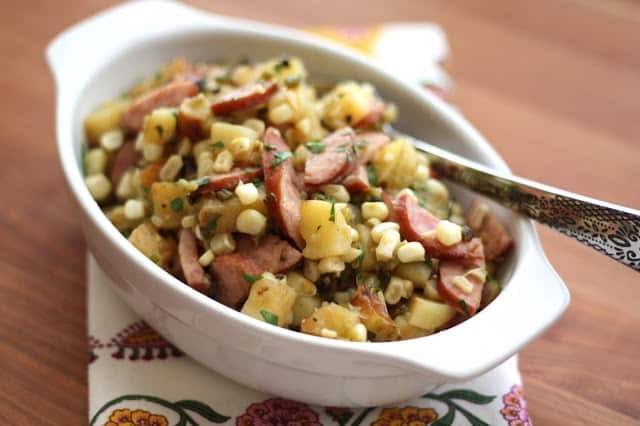 This looks so yummy - kind of like a hash which is always great in my book!